This is a two-semester, auditioned ensemble for treble voices with special emphasis on vocal and performance techniques. Advanced standard choral literature from the Renaissance through the Twenty-First Century are included in the repertoire. 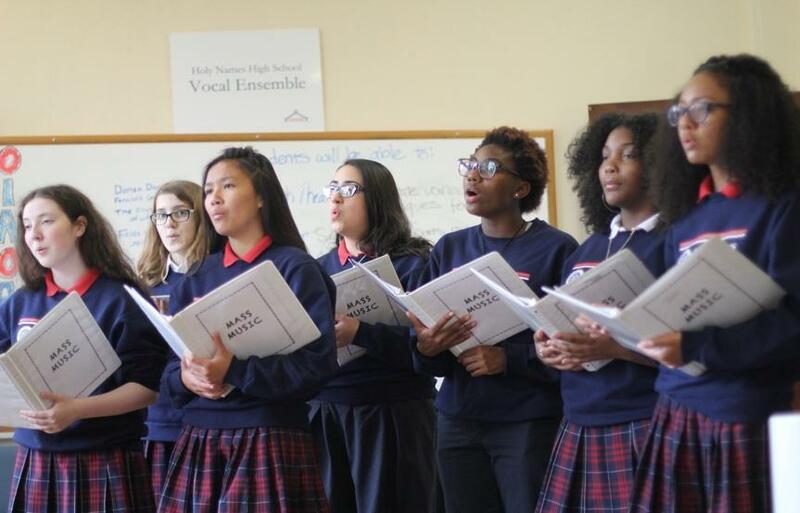 Students learn how to identify factors that constitute correct vocal production, and, conversely, those factors, which hinder correct vocal production. Ear training, sight-singing; simple harmony, music notation and music history are also studied. This is a performance ensemble and attendance is required at each performance which includes the Winter Concert, Evening of the Arts, Boot’s n BBQ, Baccalaureate Mass as well as a wide range of events, competitions, and festivals. This is a two-semester, auditioned ensemble designed especially for the rehearsal and performance of a cappella three and four-part treble music (soprano I, soprano II, alto I, and alto II). 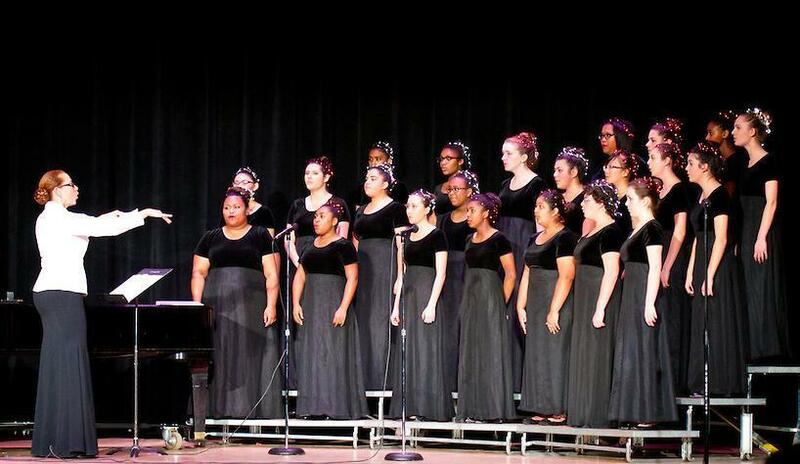 Repertoire for the Belle Tones ranges from advanced traditional choral literature to contemporary pop arrangements. Auditions with the director is required in the spring. Vocal technique and basic sight-reading skills are part of each rehearsal. When applicable and appropriate, fundamentals of music theory and music history are reviewed. 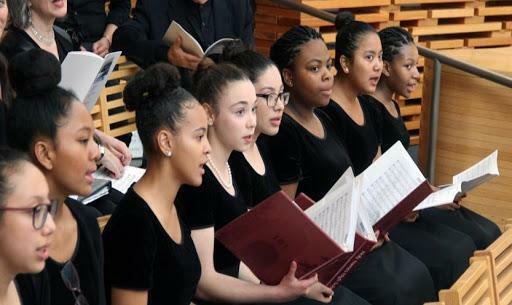 Attendance is required at each performance, which includes the Winter Concert, Evening of the Arts, Boot’s n BBQ, Baccalaureate Mass and special events competitions and festivals.